It’s time to truly hear Mom’s whole story—here, following carefully curated questions to delve into vivid details, mothers everywhere are invited to recount the beliefs, traditions, and treasured moments that have made them who they are today. 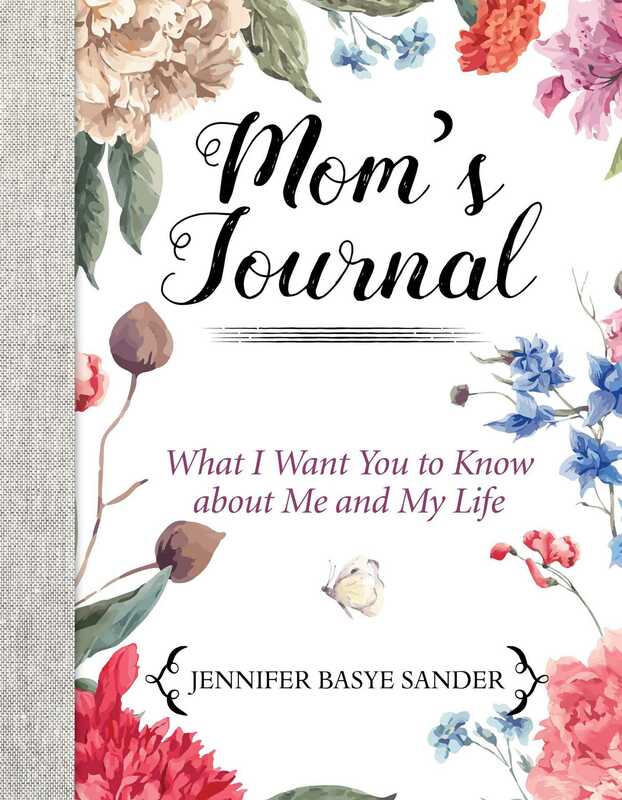 Beginning with Mom’s own childhood and teenage years, to her life before children, and of course her journey through motherhood, writing coach Jennifer Basye Sander has developed this guided journal with great attention to detail so no memory is forgotten. From simple questions such as “What was your favorite family vacation as a child?” to more thought-provoking ones such as “What do you think happens to us after we die?” this journal will encourage Mom to roam far and wide inside her own memories for stories to share, life lessons that were learned, and beliefs that grew over time. Sander’s questions and prompts invite moms to tell their children, and generations to come, all about their childhood and teenage years; their educations, relationships, and marriages; their careers, religious experiences, and involvement in their communities; their beliefs, values, and opinions; and much more. Beautifully designed, this book is a special place for moms of any age to record the most significant reflections and remembrances of their lives—it is sure to be a treasured keepsake for children and grandchildren for many years to come, and a gift any mother will hold dear. Jennifer Basye Sander was a senior editor at Random House and now coaches writers at all levels to develop their ideas into books. She coauthored The Complete Idiot's Guide to Getting Published. Jennifer teaches nonfiction writing and publishing at community colleges in California, and is an adjunct professor for the MFA program of the Northwest Institute of Literary Arts in Washington. She lives in Sacramento, California.